Leaving from Panama City, the automobile trip is just of 80 minutes to reach Portobelo. Take the “CORREDOR NORTE” (north) in the direction of Colon. The four-lane highway allows one to cross the isthmus in 30 to 40 minutes. Before reaching Colon, take the Sabanitas exit, and turn right, following for 33 kilometers (40 minutes), with the coast on your left, until entering the village of Portobelo. El Otro Lado provides transfer service upon request. The Panama Canal Railway Company (www.panarail.com) is one of the more exceptional train-journeys in the world. The Railway’s vivid history began in 1855, and the railway pursues a picturesque route, crossing the isthmus, following the Panama Canal, passing through an exuberant tropical rainforest, along the canal locks, through the historical Culebra Cut, and across Lake Gatún. The train trip from Panama City to Colon takes approximately one hour. 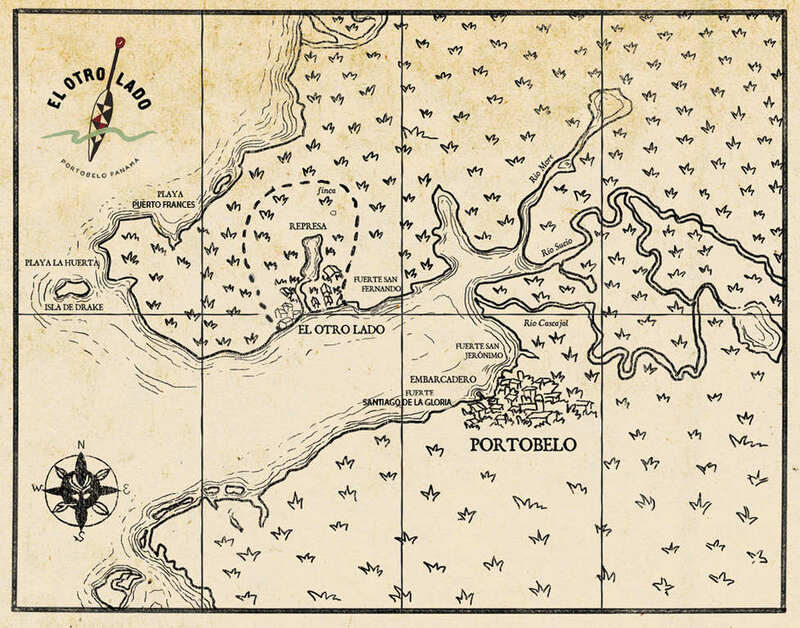 From there, it is a 45-minute car ride to complete the journey to Portobelo. 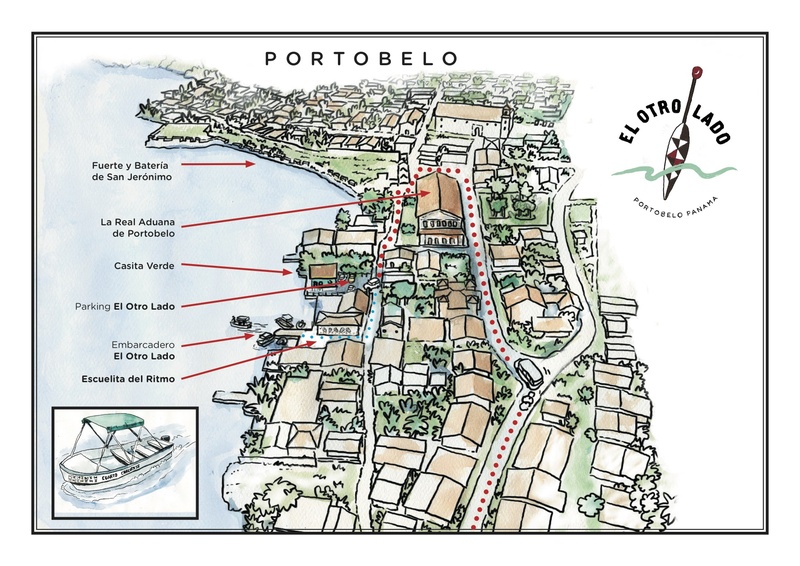 El Otro Lado would be pleased to provide transfer service from the train station in Colon to Portobelo. You may also reach El Otro Lado by sea. The natural deep-water harbor stretches out in front of the retreat, and is remarkably well sheltered against the weather. Portobelo Bay is consistently peppered with private yachts carrying flags from around the world.